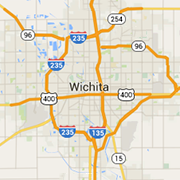 Find Wichita area retirement communities, assisted living facilities and nursing homes. One of the area’s most preferred retirement communities, featuring health care services, enrichment activities and a maintenance-free lifestyle. Personalized, 24-hour long-term care for seniors in beautiful home settings throughout Wichita. We provide dignity, privacy, independence and choice to our residents.